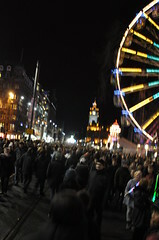 For New Year’s Eve, we had heard rumours of Hogmanay in Edinburgh – a street party and concerts for 1000’s of people. 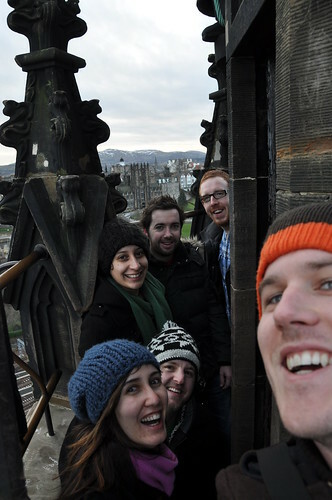 We’d also heard how Edinburgh is freezing that time of year and every other year Hogmanay gets cancelled. Despite these negative points, with a bunch of friends going up to brave it as well, we booked our flights and shared acommodation. The apartment was pretty sweet. 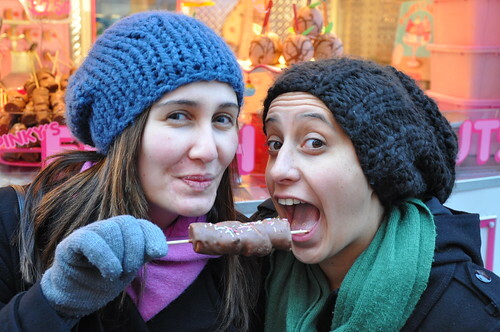 We stayed with Mel, her friend Paul and Eugene. Was great to see you guys! 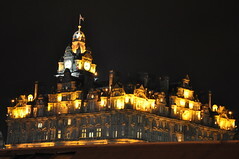 When we got into Edinburgh on the 30th, we had just missed the Candlelight Procession. Aparently 25,000 people attended the event! On the 31st we did a bunch of wandering around during the day. 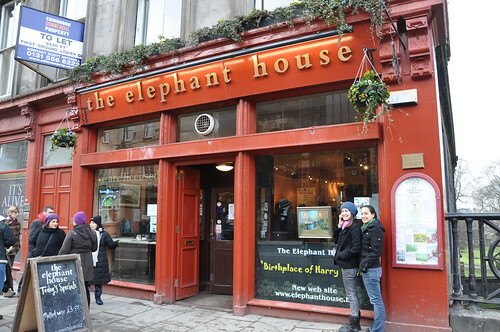 We wandered over to The Elephant House cafe, where JK Rowling wrote the first 3 Harry potter books, and waited for a gap to have a picture in front (there were a few fans about). 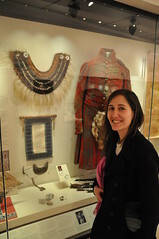 But the highlight of the day wandering was going to the Scottish museum (free entry!) and getting w heelchair for Mel, who’d twisted her ankle the night before. In addition to that fun, the museum itself was great, and I brushed up on my Mary, Queen of Scots and King James IV & I history. The museum certainly has more than that (including Dolly the sheep…).We were pleased to find in the ‘modern’ history section about Scots going to Australia and New Zealand. Snippets include that the Scottish prisoners sent to Australia were some of the worst and that Otago was promoted as a Scottish Presbyterian colony for Scottish farmers. 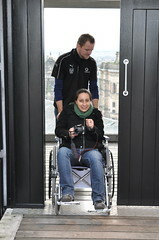 The museum also has a roof access with 360 degree views. Thought there are other rooftops in the way, you can see Edinburgh castle on the hill on the left and Old Town all the way down on the right. Neat. 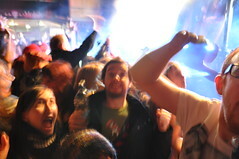 But of course, the main reason we were there, was for the huge street party on the new year’s eve!It wasn’t cancelled. 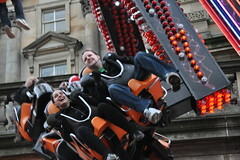 Indeed, it was the warmest Hogmanay in years. a balmy 2 degrees! 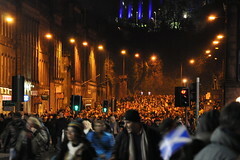 There were thousands of people on Princes Street, which they had closed for the night. 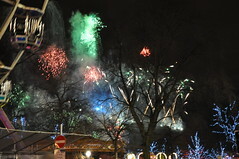 It was very active and the lights were wonderful all over the city. 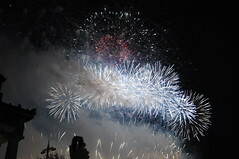 There was also an added bonus of hourly fireworks all the way up to midnight! 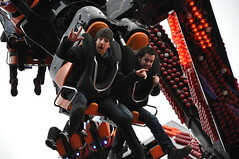 They had a couple of DJs playing and they rides ran all night. 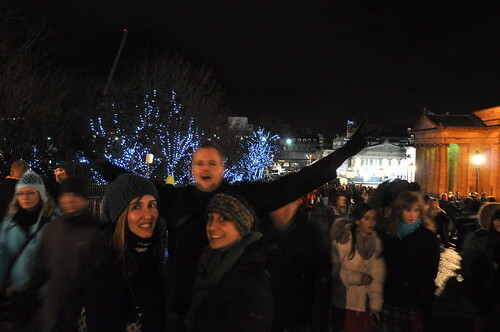 And then, finally, we wandered up toward the castle end of Princes St to see the fireworks display. It was a stunner. Amazing display. Brief, but full of light. They had at least 5 big explosions at at any one time. As you can see in the second photo, sometimes they had a dozen going. Wonderful. After the fireworks, the ‘street party’ was finished, so we headed back to the apartment and drank until 3 (or didn’t drink, in the case of some who had drunk at the concert). The day after was quite scenic too. 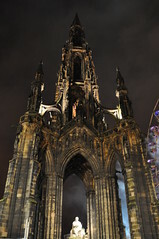 We climbedup Sir Walter Scott’s monument. He was a famous Scottish writer who portrayed Scottish ancesters as heros and warriors to a general audience. I think he was a poet. 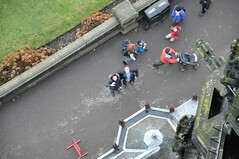 But anyway, he has a 289 steps up to the top viewing level – 200 feet high!There’s Andrew and Gareth down below! 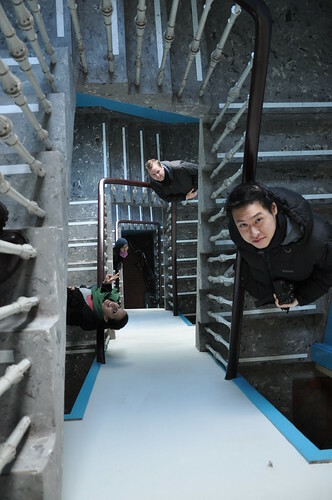 The stairways are a tight spiral. Don’t go there Mum – its very constricting! But the views are wonderful. 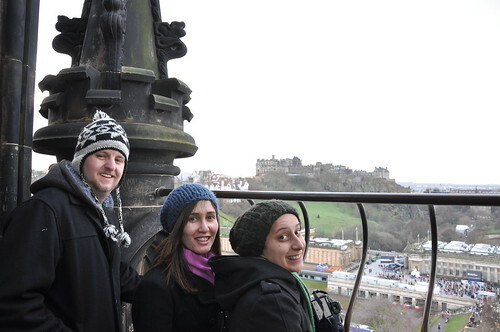 Edinburgh castle! A panoramic from the bottom of Old Town up to Edinburgh Castle. Basically the reverse panoramic from the top of the museum! 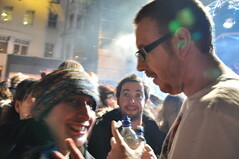 Andrew and Gareth came up to join us but there’s not a lot of room on those viewing platforms! 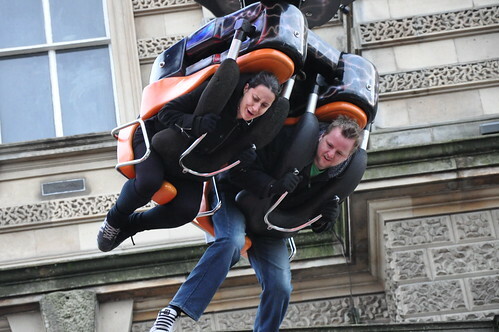 Was good fun though. 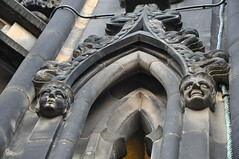 Little faces all over the place! 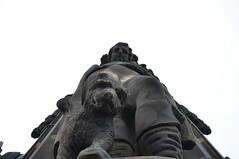 Loved the little dog looking down on people. 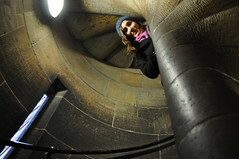 We were very pleased to go up and look but be wary if you’re claustrophobic or suffer vertigo!! 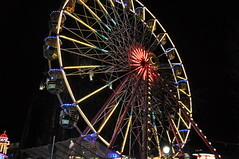 The last activity of the weekend was going to the carnival and going on a ride. FOr those who know my constitution for such rapid motions, I didn’t go. But the rest had a blast. Awesome! A brilliant weekend with wonderful company. Was great to see all you guys! 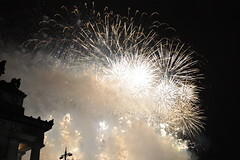 And that Hogmanay was top notch!